In 1930, Ruth Wakefield, who owned the Toll House Inn in Whitman, Massachusetts, accidently created the chocolate chip cookie. She put chunks of chocolate into a cookie thinking that the chunks would melt and create a chocolate cookie. Well, that didn’t work and the chocolate chip cookie was born. How wonderful for all the people who would indulge in warm, buttery, melted chocolate goodness. 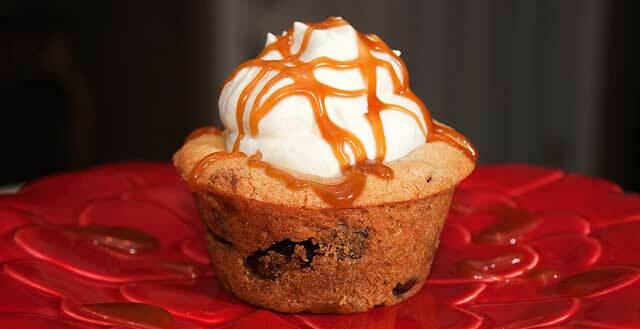 Now, imagine a chocolate chip cookie and a molten lava cake combined. You would have a Chocolate Chip Lava Cookie. Thank you Kevin & Amanda from kevinandamanda.com for this wonderful inspiration. It is amazingly delicious. I made a few changes since I prefer dark chocolate to milk chocolate. I also thought that toffee bits would be a great addition. To get started gather the ingredients and preheat the oven to 350 degrees. 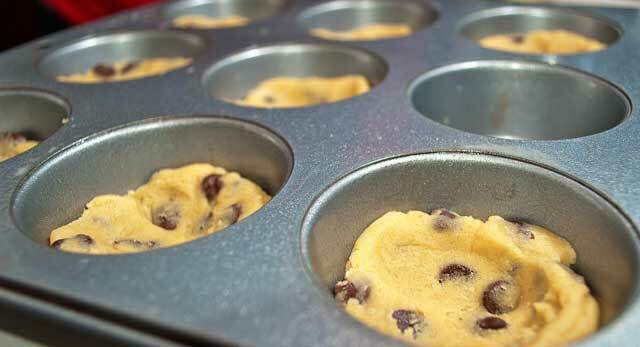 Prepare the muffin tins by spraying 10 of the cups with cooking spray. In a microwave safe bowl, place 1/3 cup of milk chocolate toffee bits with 1/3 cup of milk chocolate chips. Microwave for 30 seconds and then stir. Continue microwaving for 10 second intervals until the chocolate is smooth and the toffee bits are still crunchy. Set aside. In the bowl of an electric mixer, cream the butter, brown sugar and granulated sugar until light and fluffy, about 3-5 minutes. Beat in the egg and the vanilla until combined. In a separate bowl, mix together the flour, salt and baking soda. Add the flour mixture to the creamed ingredients and mix until just combined. Fold in 1 cup of bittersweet chocolate chips. 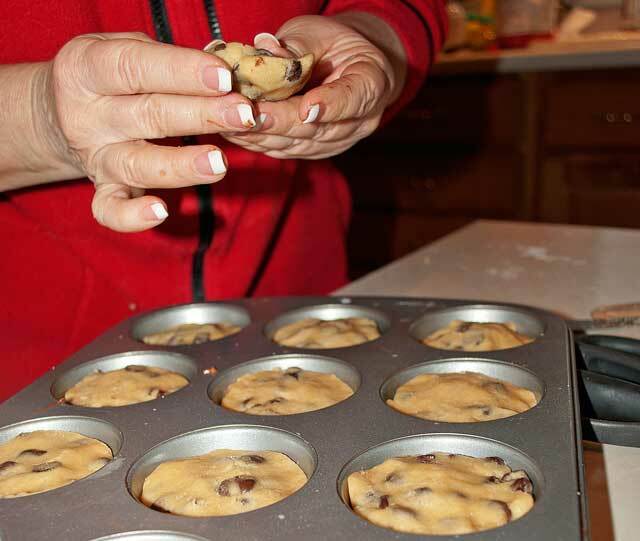 Using half of the dough, scoop out 1.5 to 2 tablespoons of dough and make a disc that will fit in the bottom of each of the muffin cups. 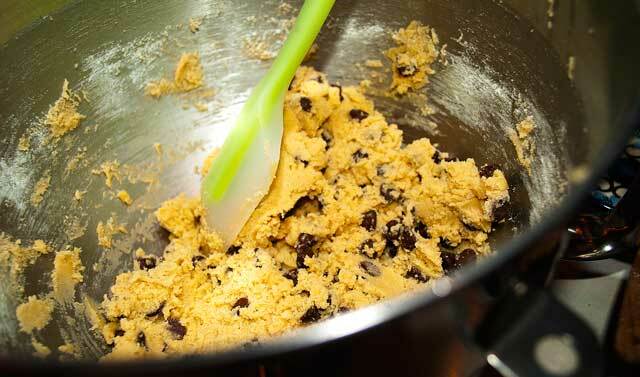 Spoon the toffee bit mixture evenly on top of each piece of cookie dough in the tin. With the remaining cookie dough, make 10 more discs and place them on top of the melted chocolate mixture. Bake for 15-20 minutes at 350 degrees until the edges of the cookie are lightly browned. As soon as they come out of the oven, run a knife around the edges so the cookie will release easier. Cool in the pan for 20 minutes. The longer they cool the firmer the chocolate center becomes. Leftovers can be microwaved for 10 to 12 seconds each. Serve warm with vanilla ice cream or whipped cream. I drizzled on chocolate sauce and caramel sauce which was a good complement to the toffee bits. Adapted from kevinandamanda.com A cookie with a soft, oozing chocolate center. Preheat oven to 350 degrees. Prepare muffin tin with cooking spray. In a microwave safe bowl, melt the toffee bits and the milk chocolate chips for 30 seconds. Stir, and continue microwaving in 10 second bursts until the chocolate is melted and the toffee bits are still crunchy. Set aside. 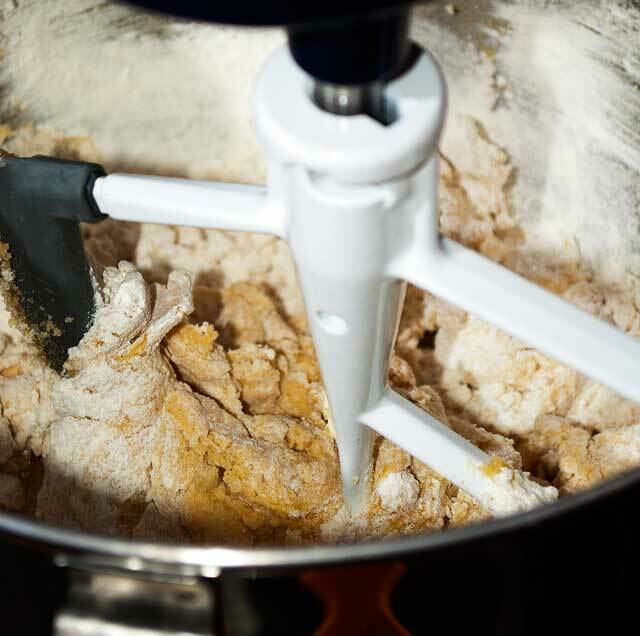 In the bowl of an electric mixer, cream the butter and sugars until soft and fluffy, 3-5 min. Beat in the egg and vanilla until combined. In a separate bowl whisk together the flour, salt and baking soda. Add to the wet ingredients and mix on low until just combined. Stir in the chocolate chips. Using half the cookie dough, scoop 1.5-2 tblsp. of dough. Shape into a round disc and place in the bottom of each muffin tin cup. 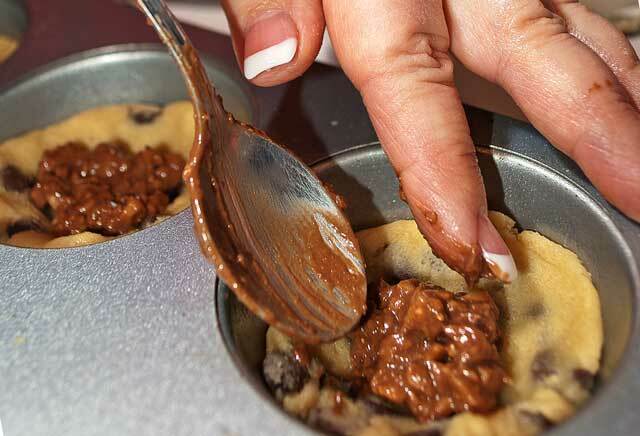 Spoon the toffee bit mixture on top of the cookie dough. Scoop the remaining dough into discs as before and place on top of the toffee bit mixture. Bake for 15-20 minutes, until the edges are lightly brown. When they come out of the oven, run a knife around the edge of each cookie to make removal easier. Cool in pan for 20 minutes. NOTE: The longer they sit the firmer the center becomes. Leftover cookies can be warmed in the microwave about 10-12 seconds. My wife is a dream come true. She made this, and it is like heaven in your mouth. Eat this while it is fresh and warm out of the oven – even if she yells at you to wait until after dinner. 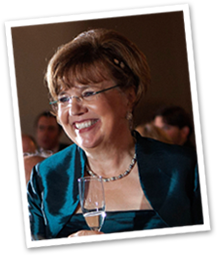 Hi,my sister Tracy sent me your web site. I made the chocolate chip lava. Cakes…Awesome! Thanks! You are most welcome Lynda. I am glad you liked the lava cakes.